I delivered this cake with Ken, Debbie's hubby. He does the grunt work around the bakery, especially for me because I can't lift these 4-tier cakes. Anyway, if a couple has a cake topper they want us to place on the cake at the reception, they typically leave it on the cake table so it's there when we arrive with the cake. 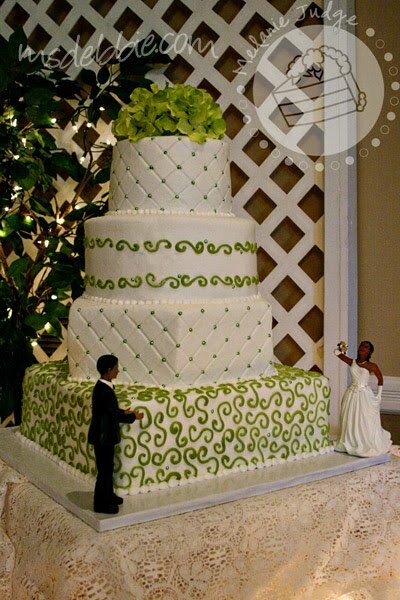 The cake topper for this cake was cute: a man and woman dancing. But what was cool about it was that each figure was a separate piece. I guess you can mix and match figures if you need to - how modern! So I fit the pieces together on the table. The groom had his hands on the bride's waist. The bride had her bouquet behind his head. Very sweet. Except the figures were very heavy so I was a little worried. 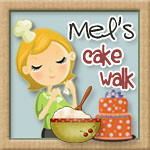 I put a huge dollop of icing on top of the cake and stuck the figures down into it. 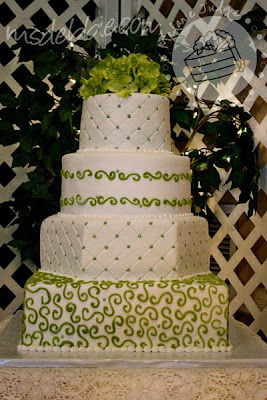 Then, I backed up 1 step, took a step to the right to see what they looked like from the side, and the groom literally JUMPED off the top of the cake. I know what you're thinking...is that an sign? But we won't go there today. Of course, his dive didn't completely clear the rest of the cake so he managed to damage little parts all the way down to the table. Yay! What should have been an easy delivery has now turned into a small rescue. No problem. I repaired the cake so no one would ever know what happened, and we put silk hydrangeas on the top instead of the figures. I thought it was hilarious. The groom has been caught doing the Robot and the bride is off in her own little world doing who knows what with that bouquet! And that's how we left it. Always please the customer, right? Pretty cake! Very funny story! 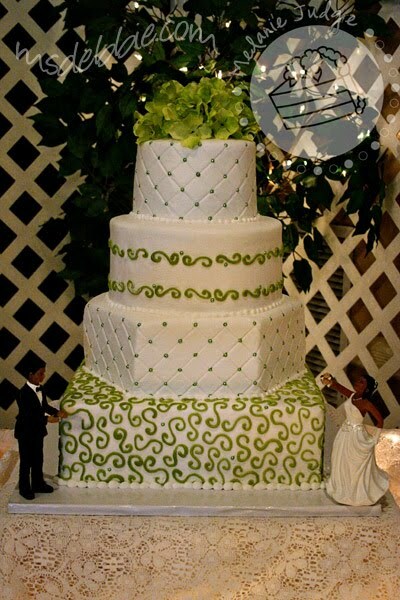 I love this cake and the 2 figures. It is unfortunate there wasn't enough room at the bottom to place them together.